Kinda wish I had a more interesting topic to blog about for my 100th post but this will have to make do. I played around with scraps last night and got one half of my oven mitt completed. It's super simple but took me some time as I couldn't decide what fabrics to use. I ended up just sewing a bunch of stuff together and seeing what I ended up with. Looks a bit yellow in the photo, but the main part is a lime green polka. The blue striped fabric in the photo is the lining piece for the other half. I also used the little quilting bar that came with my walking foot for the first time last night. Pretty nifty. I guess this was the first time I've ever really quilted anything. Fun! I plan to use Pink Penguin's Pot Holder tutorial to make a matching pot holder too. Then, just as soon as my mom and I can hit Ikea, I'm going to get the cool Asker Rail/Container thingy to hang above my stove. Perfect place to hang my new oven mitt and pot holder. Also in the works. . . more Gathered Pouches using Anna's tutorial. Looks like I'm on a navy blue stripe kick! Soon to be added to the To Do list. . . 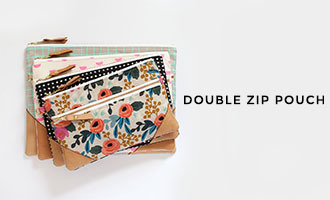 I love those pouches- I just made one the other day! 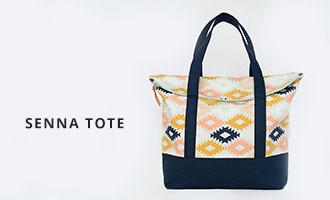 Also, I have not tried Made by Rae's pattern, but I am about to do the drawstring bag from Noodlehead's tutorials. I hope it turns out! I just love navy and pink together! I've got to get my hands on some of those new Joel Dewberry prints . . . but I'm trying to be good! Nice job on the oven mitt! It's really cute! Love your hotpad mit! you are making me want to make one! I've made the toddler backpack pattern and it is great! I have 3 girls (2 toddlers) and they love them. I didn't use webbing, just made straps. I think this is a great 100th post. 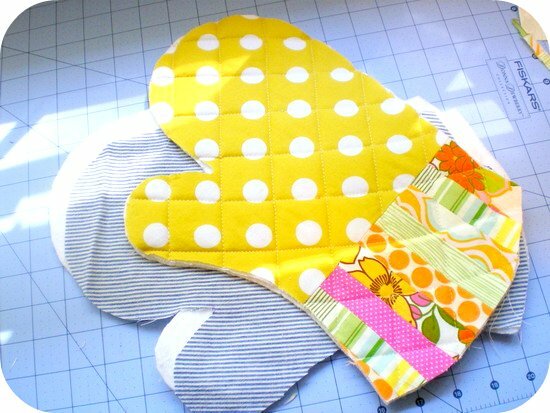 The simplicity of oven mitts made with gorgeous fabrics like yours, always gets my sewing zest going. Love your clutches too! Great fabric!! Oh! I just saw this post and I already sent back the key fob and check. I reallllllllly want the above oven mit. It is so cute. I love the fabrics you chose. Would like to buy a couple of these next month after I go back to work!! I haven't made Rae's backpack but it is sooo cute! I wish I had a toddler to make one for...well, maybe not really. ;) But the pack IS cute! 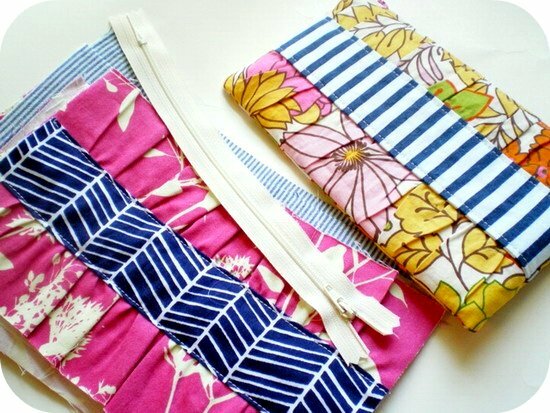 Great fabric choices for both the clutches and the oven mitts! You really have a flair with fabric! I love those gathered pouches. I've been wanting to make them. There is a free pattern for a toddler backpack here: http://indietutes.blogspot.com/2009/10/toddler-backpack-pattern.html. I made one for my daughter & it's really cute! Thanks, Sarah, for the link! I haven't seen that one. I actually got Rae's pattern a while back but haven't decided on fabric yet. Still on the to do list. One day. . .